The supernatural is ancient. According to most religious texts, the supernatural predates humanity, and the oldest human societies knew ghosts and ghost stories like they knew their neighbors. From folk religions to the latest horror film, the supernatural has been with us and will continue to be with us in spite of the relatively recent intrusions of secularism and scientific skepticism. That being said, something novel occurred in the late 19th century. At that time, thanks to the popularization of the scientific method and empirical analysis, many began to speculate whether or not the unseen world could be cataloged and examined like the rational world of everyday life. Some researchers took this task very seriously and began to apply accepted science or textual analysis to such things as clairvoyance, historical ghost stories, and so on. While many used science as a way to disprove all elements of the supernatural, a few became convinced that modern science could not explain away all of life’s mysteries. Still more amateur scientists and seekers after the occult and arcane concluded that the paranormal and the normal coexist—a theory that helped to drive up book sales and the interest of the general public. All paranormal researchers, from charlatans to earnest believers, have helped to universalize popular interest and inquiry into the supernatural that goes beyond mere campfire tales. 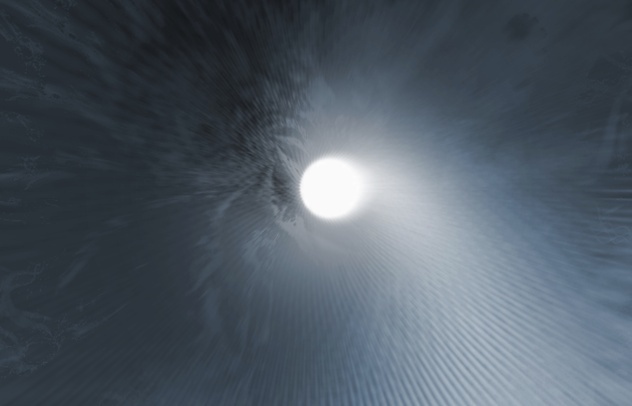 Thanks to the proliferation of television shows and documentaries concerning paranormal investigations and the people who conduct them, a shared vocabulary now exists, even for those who are only nominally interested in the topic. Given this cultural visibility, it is only proper that we examine 10 pioneering paranormal researchers from history. Instead of utilizing a microscope or a serious grounding in the physical sciences, William Seabrook pursued the supernatural in the only way he knew how—as a journalist. Born in Westminster, Maryland, to a former lawyer who became a Lutheran minister, Seabrook claimed that his thirst for the supernatural was inspired by his grandmother, Piny—an opium addict, child of nature, and witch. In all likelihood, Seabrook’s stories concerning his childhood were highly embellished, though something certainly sparked a curiosity in the young boy. After living a lifetime in just a few years (as a high-ranking member of an ad agency, a member of the French Army’s American Field Service during World War I, and a reporter for the New York Times), Seabrook finally landed on an idea that would make his name synonymous with occult-tinged adventure during his lifetime. After meeting a visiting Lebanese student at Columbia University, Seabrook accepted an offer to travel to the Middle East. Collected together as Adventures in Arabia: Among the Bedouins, Druses, Whirling Dervishes, and Yezidee Devil Worshippers, Seabrook’s foray into the Muslim world is most famous today for his statement that the Kurdish Yazidi minority oversees a chain of seven towers dedicated to “broadcasting occult vibrations” in the service of evil. Seabrook’s next work is his most famous. The Magic Island, an in-depth depiction of Haitian life under the oversight of American Marines, is commonly (and erroneously) known as the book that introduced the word “zombie” into the English lexicon. The Magic Island placed Seabrook as an unlikely initiate into the world of Haitian voodoo. While there, he witnessed previously unrecorded rituals and heard stories concerning undead workers and their aversion to salt. At one point, Seabrook claimed to have seen a real zombie, although he never described it as having any overt supernatural powers. The Magic Island directly inspired the 1932 film White Zombie, which is often considered to be the first zombie movie. After the success of The Magic Island, Seabrook continued to write strange travelogues that took their readers to the fringes of society. In Jungle Ways, Seabrook graphically details what it’s like to eat human flesh, while Asylum is a highly personal account of Seabrook’s struggles with alcoholism while voluntarily confined to a mental hospital. In 1940, Seabrook published Witchcraft: Its Power in the World Today, a critical study of the supernatural that ultimately concludes that science can explain away most occult phenomena. Still, such conclusions did not stop Seabrook from personally experimenting with extrasensory perception or from partaking in black magic rituals designed to curse Adolf Hitler. J.B. Rhine left behind such a powerful legacy that Duke University, one of the premiere academic institutions in the US, named their parapsychology laboratory the Rhine Research Center. A botanist by training (with an MA and PhD from the University of Chicago), Rhine was particularly interested in the study of what he termed “parapsychology.” Inspired by a lecture given by Sir Arthur Conan Doyle at the University of Chicago, Rhine accepted an invitation to join Dr. William McDougall, a renowned psychologist and researcher of the paranormal in his own right, at Duke. For the majority of his life, Rhine’s research and work were devoted to studying extrasensory perception (ESP). He authored several books on the subject and was one of the first people to seriously study it as an academic topic. William Seabrook shared Rhine’s interest, and the two often collaborated on experiments, using Seabrook’s upstate New York farmhouse as a laboratory. Funnily enough, Dr. Peter Venkman (played by Bill Murray) is shown performing a Rhine-inspired ESP test (albeit an unscientific one) at the beginning of Ghostbusters. 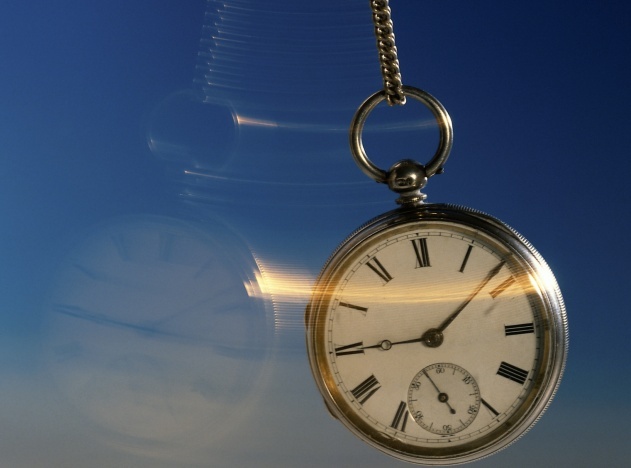 Before becoming an expert on hypnosis, Estabrooks was a Rhodes Scholar and a graduate of Harvard who penned several articles about the application of clinical hypnosis and its effects on human behavior. In 1943, Estabrooks collected together his experience, research, and thoughts on the subject in order to write Hypnotism, a foundational text concerning the various uses of hypnotism. Before long, the US government took an interest, and Estabrook was called upon to participate in experiments involving hypnotism, which were overseen by military intelligence. In a 1971 article for Science Digest, Estabrooks not only claimed that using hypnotism as part of intelligence gathering was dangerous, but he also highlighted several strange occurrences that happened while he performed hypnotism on US service members. Undoubtedly, Estabrooks’s early hypnotism experiments, as well as his belief that hypnotism could be used to manipulate minds on a long-term basis, influenced the CIA’s MKULTRA thought control program. A former seminary student who became the assistant surgeon for the US Navy during the Civil War, Rufus Osgood Mason later began a second career as a famous researcher of parapsychology and unusual phenomena. Mason’s specific areas of interest were telepathy and hypnotherapy. Mason wrote about the former in 1897’s Telepathy and the Subliminal Self, while he covered the latter in 1901 with Hypnotism and Suggestion in Therapeutics, Education, and Reform. One of the founding fathers of paranormal research, Mason was a respected and contributing member to England’s Society for Psychical Research, an organization that still exists today. 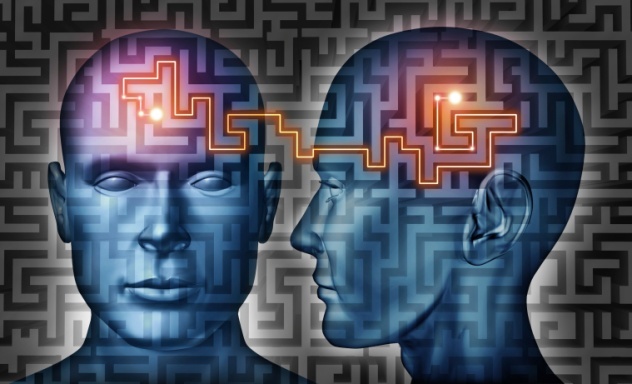 Many of Mason’s research methods and hypotheses continue to influence those who study ESP, hypnosis, and other avenues of parapsychology and metaphysics. Latvian-born Karlis Osis is notable for being one of the first men in his field (psychology) to have obtained a PhD with a dissertation that explicitly focused on ESP research. Inspired by the “deathbed visions” first studied by British physicist and founder of the Society for Physical Research William Fletcher Barrett, Osis, along fellow parapsychologist Erlendur Haraldsson, conducted a research survey that lasted from 1959–73. 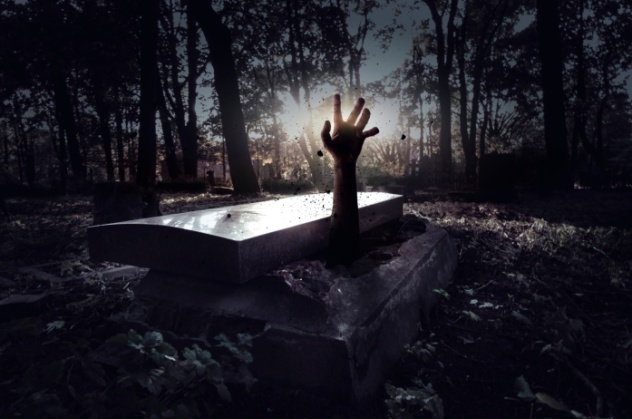 When it was finally published by the American Society for Physical Research, Osis and Haraldsson claimed that deathbed visions occurred in 50 percent of the studied population in the US and India. Later, Osis and Haraldsson published At the Hour of Death, a more in-depth study of deathbed visions. Almost immediately, this study was called into question, with Terence Hines, author of Pseudoscience and the Paranormal, claiming that Osis and Haraldsson misrepresented their numbers and even reported information that was obtained secondhand. Osis’s interest in deathbed visions led him toward examining life-after-death scenarios and the possibility of communicating with the dead. Before passing away in 1997, Osis served as the president of the Parapsychological Association and investigated numerous claims of ghost and poltergeist activity. If Peter Hurkos is to be considered a paranormal researcher, then he must also be recognized as an entertainer. A native of the Netherlands, Hurkos became famous for displaying his ESP powers live on television. As such, the so-called “Psychic Model of the 20th Century” presaged later TV mediums like John Edward and “Long Island Medium” Theresa Caputo. Hurkos claimed to have acquired his “gift” after falling from a ladder and suffering a traumatic brain injury sometime around 1941. From there, Hurkos was brought to the United States by fellow researcher Andrija Puharich, a medical doctor who primarily dealt with matters of parapsychology. For almost three years, Puharich tested Hurkos’s supposed ESP abilities in a laboratory environment. After convincing Dr. Puharich, Hurkos began to work as a psychic and was employed by several police departments. Hurkos claimed that through his abilities, he could name killers or find victims. When these claims were put to the test, such as in the case of the “Michigan Murders” of the late 1960s, they often failed, thus leading many to believe that Hurkos was a sham psychic. Like others on this list, Frederick Bligh Bond was born into his calling as a paranormal researcher. As the cousin of Sabine Baring-Gould, an Anglican priest and the writer of Onward, Christian Soldiers (who also composed such tomes as A Book of Ghosts and The Book of Were-Wolves), Bond probably felt a genetic attraction to the strange and inexplicable. An architect by training and education, Bond was hired to manage excavations in and around Glastonbury Abbey in 1907. Unknown to his employers, Bond was deeply interested in spiritualism, a then-popular religion that involved mediums, seances, and other forms of communication with ghosts. Furthermore, Bond was under the belief that Glastonbury Abbey, an Anglo-Saxon Benedictine monastery from the seventh century, had been built according to the precepts of sacred geometry and therefore provided an unlimited well for contact with the dead. Although Bond was fired after the Anglican Church got wind of his interests in the 1920s, his excavations at Glastonbury Abbey are often considered to be the first instance of psychic archaeology, or the method of using clairvoyance in order to discern certain historical truths about an archaeological site. 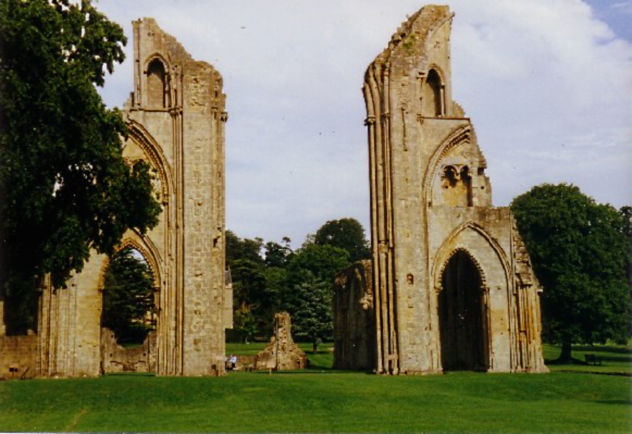 As Bond recounts in his book, The Gate of Remembrance, his thoughts about Glastonbury Abbey began after he started practicing automatic writing. In later life, Bond became a member of the American Society for Physical Research as well as the Ghost Club and even became an ordained priest in the Old Catholic Church of America. The most accomplished scientist on this list, Sir William Crookes is best known for several inventions, such as the revolutionary Crookes Tube (an early type of vacuum tube) and his radiometer. Less known about Crookes is that he was a spiritualist who applied his knowledge of physical and chemical science to the study of ghosts and other phenomena. After examining several mediums, such as the frequently discredited Catherine Fox, Crookes declared that they were legitimate and insisted that certain mediums really could communicate with the deceased. At the height of Crookes’s interest in the paranormal, he joined The Ghost Club, the Society for Physical Research, and Madame Blavatsky’s Theosophical Society. Unfortunately, owing to his poor eyesight and his desire to believe in the tenets of spiritualism, Crookes was duped by false mediums on several occasions. A ghost hunter extraordinaire, Harry Price made a career out of exposing fake psychics and spiritualist mediums. Influenced by the “Great Sequah,” a traveling hocker and snake oil salesman who visited his native Shrewsbury, Price began researching the paranormal at the young age of 15. According to his biography, Price’s first ghost hunt occurred when he and a friend stayed overnight at an apparently haunted manor house. During the night, the pair experienced some of the hallmarks of paranormal activity—disembodied footsteps, mysterious shapes, and inexplicable noises. Afterward, Price began to purchase and collect books on magic and conjuring, both of which would remain lifelong obsessions. A successful self-promoter, Price was well-known for giving film interviews and performing ghost hunts in front of cameras. When not debunking men like “spirit photographer” William Hope or medium Eileen J. Garrett, Price undertook public investigations like the Brocken Experiment, which attempted to call forth black magic elements on the centenary celebration of Goethe’s birthday. Of all of Price’s cases, his investigations at Borley Rectory, often called the most haunted house in England, are the most famous. According to some sources, Price’s ghost hunt at Borley Rectory conjured up some frightening poltergeist activity. Although he was born in the late 19th century, Montague Summers thought of himself as a medieval witch hunter and vampirologist and was dedicated to chronicling the dark forces of the Western world. No action is a greater indication of this belief than Summers’s decision to translate the 15th-century witch hunter’s manual Malleus Maleficarum into English in 1928. An Oxford graduate who originally hoped to become an Anglican priest, Summers eventually left for Roman Catholicism after feeling blocked from attaining higher orders due to his interest in the occult, Satanism, and pederasty. After converting, Summers claimed to be an ordained Catholic priest and began to diligently write about the supernatural. Some of his more popular works include Witchcraft and Black Magic, The Werewolf in Lore and Legend, and The Vampire: His Kith and Kin. A noted expert on the history of the supernatural in Europe, Summers gained a reputation as a steadfast eccentric who paraded around 1920s England in a black cassock and biretta. In spite of mockery by the press at the time, Summers’s publications (which, to be fair, are more fiction than non-fiction) greatly helped to lend credence to the idea that folk legends and paranormal topics were worthy of academic study. Benjamin Welton is a freelance writer based in Boston. His work has appeared in The Atlantic, The Weekly Standard, VICE, Listverse, and Metal Injection. He currently blogs at literarytrebuchet.blogspot.com.